This is an acrylic hosiery bin. 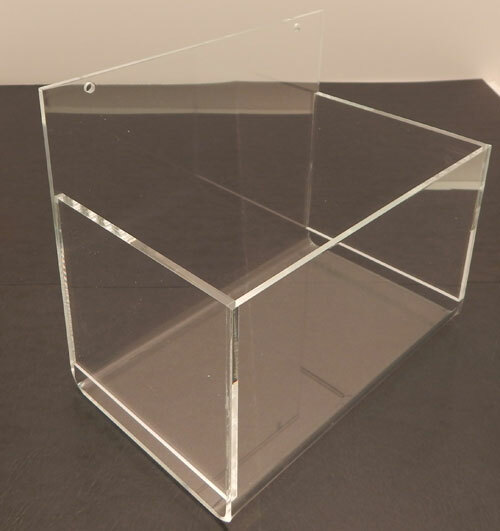 We carry both double and single bin versions of this bin to provide you with choices for your specific display situation. The wall mount design allows you to place this bin in almost any empty wall space. 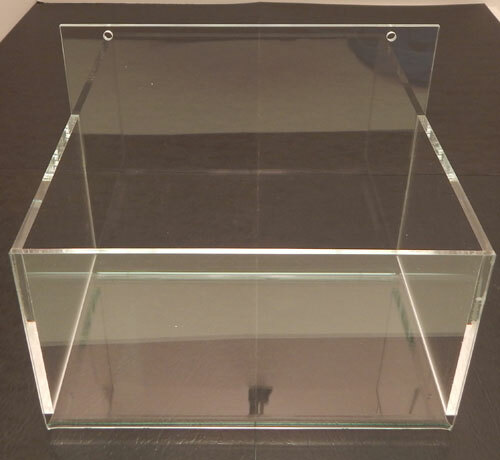 Our high quality clear acrylic construction is highly durable making it perfect for use in any retail space. The clear acrylic design also fits in well with any current design aesthetic that your store may have. This bin can also be used as a counter top display, or you can add gridwall or slatwall mounting brackets if you prefer.